It’s a campaign promise made during an ad last fall as he treaded water in the Atlantic Ocean. Now Congressman Joe Cunningham is swimming hard against the powerful currents of Washington, as he tries to make good and protect the South Carolina coast from offshore drilling. The first time politician announced Tuesday he will introduce the, "Coastal Economies Protection Act", as soon as he gets back to Washington, to prevent opening the Atlantic and Gulf Coast to drilling and seismic air gun blasting. 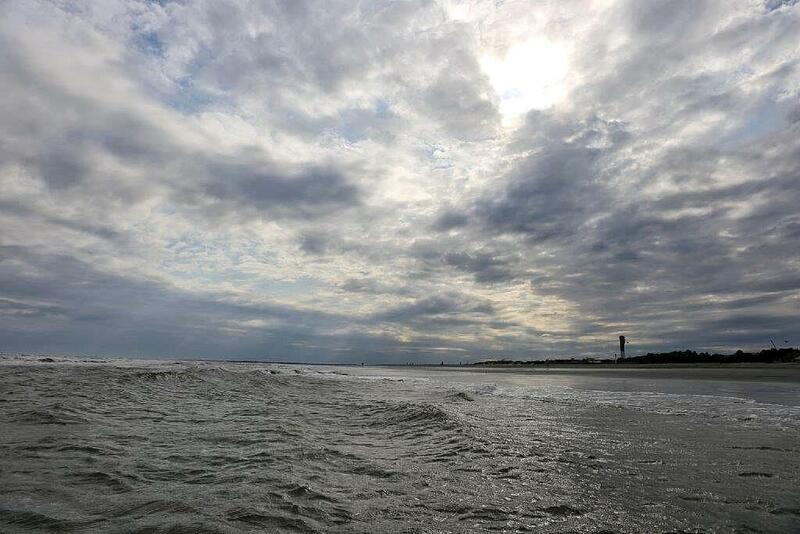 Listen: Leaders and locals talk about the pitfalls and possibilities when it come to offshore drilling for oil and natural gas. “I demand that this administration respect the wishes of the coastal communities that I represent who have been so opposed to offshore drilling and the reprehensible seismic airgun blasting." Environmentalist say the noise from repeated airgun blasts used for seismic testing can be detrimental to marine life which relies on sound, especially the endangered Atlantic right whale. Federal authorities have promised to use precautions. Still, locals have been vocal in their opposition against offshore drilling, including a coalition of coastal mayors. Inland communities like Columbia and Greenville have taken a stand as well. Voters even elected first time politician Joe Cunningham, a democrat, over a republican backed by President Trump. It’s the first time a democrat has represented the coastal first congressional district in 40 years. But just one month after the election and despite public outcry, the federal government issued five companies permits for seismic testing in search of oil and natural gas. Environmentalists, as well as both republican and democratic leaders quickly sued, rallying outside the steps of the federal courthouse in Charleston on an unusually cold December day. They called it a precursor to offshore drilling. State Attorney General Alan Wilson recently joined the suit. Outside, Cunningham fired up the crowed. “Not here, not now, not ever,” he said. But inside his car, he pulled out a picture of his then 9 month old son as he spoke about plans to basically ban the infrastructure necessary for oil and offshore drilling. In other words, he wants to protect the environment, our coast, because it’s the responsible thing to do. But he's also worried about businesses. Tourism is a 20 billion dollar industry annually, statewide. State senator Stephen Goldfinch who represents Horry and Georgetown counties worries his communities have become too dependent on tourism. Every time it floods or there's a hurricane, which has happened more often lately, many businesses are forced to shut down, even for weeks. He’s not for drilling for oil and the pitfalls that poses. But he says why not explore natural gas? Lisa Turansky with the Coastal Conservation League calls it an interesting idea. But she says it may be too late. If the permits get final approval, the companies can test for both oil and gas. What they find, she adds, does not have to be made public. It typically goes up for bid to the oil and gas industry. “By putting into motion seismic testing permits you are beginning a silent auction for the coast of South Carolina,” Turansky said. What’s more, she says there’s not enough oil off our coast to make a dent in the nation’s demand. Governor Henry McMaster says he's asked the president for an exemption, like the one granted to Florida for its reliance on tourism. He argues South Carolina, where one in ten jobs is reportedly tied to tourism, deserves the same. After a nail biting night and an all too close early morning win, Congressman-Elect Joe Cunningham addressed the press Wednesday night in front of a small group of family and friends at a longshoremen’s union hall in Charleston. He spoke about a campaign that began at a kitchen table with no money, no staff and no idea how to run for election. But Cunningham said he decided to run to fight for a nation less divided for future generations. 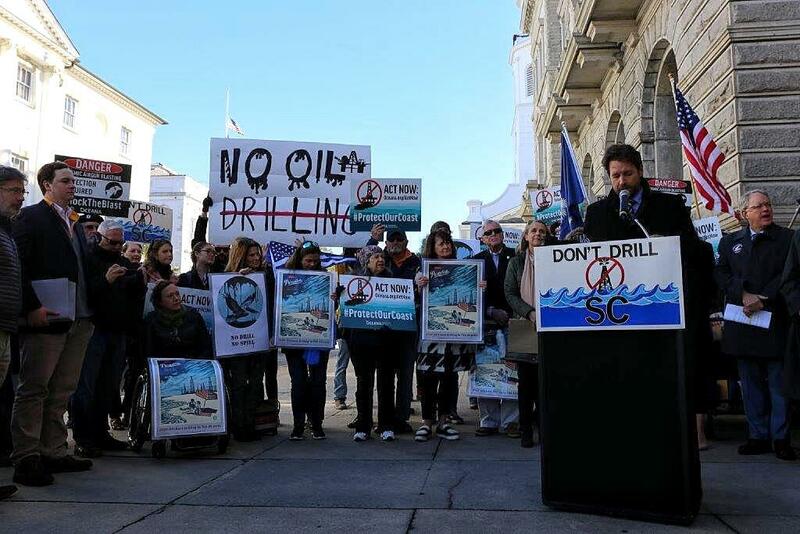 It may have been cold outside the federal courthouse in downtown Charleston Tuesday morning, but the crowd was fired up about a newly filed lawsuit to stop what’s believed to be a precursor to drilling off our coast; seismic airgun blasting. The lawsuit claims the National Marine Fisheries Service violated the Marine Mammal Protection Act, the Endangered Species Act and the National Environmental Policy Act when it issued five permits for such blasting a little more than a week ago.